BEIJING — China promised Wednesday to stick to its climate commitments after President Donald Trump eased U.S. curbs on coal and oil use, opening the way for Beijing to assert itself as a leader in environmental policy. China is the No. 1 emitter of climate-changing greenhouse gases but also the top investor in solar, wind and other renewable energy. It has promised to cap coal use and rein in growth of carbon dioxide emissions. "As a responsible developing country, China's plan, determination and policy to tackle climate change is resolute," foreign ministry spokesman Lu Kang said. Beijing's collaboration on climate with Trump's predecessor, Barack Obama, had been seen as a bright spot in a bilateral relationship with numerous strains. Trump has called climate change a hoax created by China and promised to unwind Obama's measures to curb global warming. Trump's order Tuesday rescinded nearly a dozen measures enacted by Obama. Trump said he wanted to create more coal mining jobs, though industry analysts say demand is likely to decline as the price of solar, wind and other alternatives falls. Asked about Trump's order at a regular news briefing, Lu didn't mention the United States or the American president but said Beijing was committed to carrying out its pledges under the Paris climate agreement negotiated in 2015. Signed by 170 countries, the agreement calls for holding global temperature increases to no more than 2 degrees Celsius (3.6 degrees Fahrenheit) in hopes of preventing sea level rise and environmental damage. All signers should "fulfill their pledges and implement the agreement with positive actions," Lu said. "We are willing to strengthen dialogue and cooperation with the international community to advance the global process of climate governance and promote the green, low-carbon and sustainable development so as to build a better future for next generations," he said. 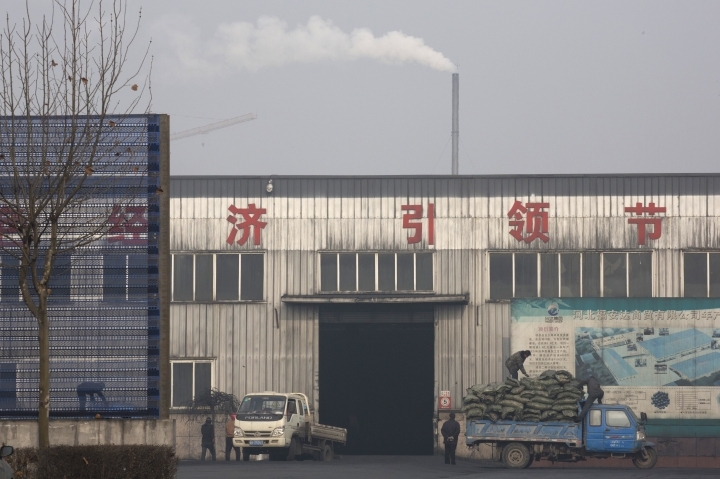 China long resisted binding emissions limits, citing its economic development needs. Its about-face began in 2014 when President Xi Jinping, in a joint declaration with Obama, set a 2030 deadline for emissions to stop rising. Despite the lack of a formal commitment, China already is making faster progress than most countries due to official efforts to reduce reliance on steel production and other heavy industry and to promote technology and consumer spending. China has spent heavily on solar, wind and hydro power to clean up smog-choked cities and curb surging reliance on imported oil and gas. Researchers say that means carbon dioxide emissions are likely to peak before 2025, well ahead of the official target. China's 2015 spending of $103 billion was more than double the U.S. level of $44 billion, according to the U.N. Environment Program. China leads the world in wind and hydro generating capacity and is No. 2 behind Germany in solar. Last year, Chinese coal consumption fell 4.7 percent, its third annual decline, according to official data. Coal's share of total energy consumption fell to 62 percent from 2015's 64 percent. In a report last week, the environmental groups CoalSwarm, the Sierra Club and Greenpeace said an unexpectedly sharp decline in the number of new coal-fired power plants being built in China and India improved chances that climate targets could be met. The two countries have suspended construction of more than 100 power plants, though dozens more still are due to come online by 2020. Beijing also sees renewable energy as a commercial opportunity. Its leading solar panel producers are among their global industry's biggest competitors and Chinese state-owned utilities are building or buying wind and solar farms in Europe and Latin America. 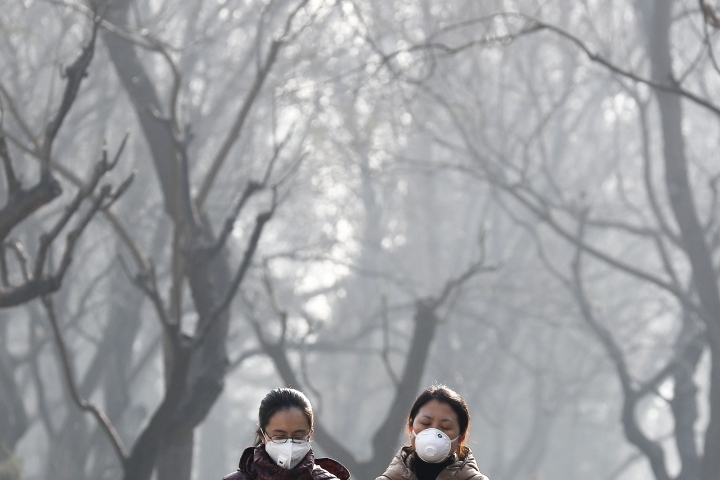 A plan released in January by the Cabinet's planning agency calls for spending another 2.5 trillion yuan ($360 billion) on renewable energy by 2020 in an effort to clean up smog-choked Chinese cities. Still, the Cabinet says it expects at least 62 percent of China's power to come from coal in coming decades. The development plan calls for doubling the share of China's energy from non-fossil fuels to 20 percent by 2030. But that will only bring China into line with today's global average. Trump's order initiates a review of the Clean Power Plan, which restricts greenhouse gas emissions at coal-fired power plants. The order also lifts a 14-month-old moratorium on new coal leases on federal lands. The Obama administration had argued the program must be modernized to ensure a fair financial return to taxpayers and address climate change. The order covers a range of other Obama-era rules, including repeal of measures to consider the "social cost" of carbon emissions in all regulatory actions and crack down on methane emissions at oil and gas wells. It also eliminates a rule restricting fracking on public lands and another that requires energy companies to provide data on methane emissions at oil and gas operations.